Republican Senator Joni Ernst met with the acting director of the EPA this week to discuss expanding ethanol sales. The EPA is closed because of the government shutdown, so there’s concern rules to allow summertime sales of fuel with a higher blend of ethanol will not be adopted in time. 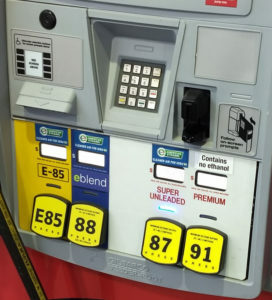 President Trump announced in October, during a rally in Council Bluffs, that he was ordering the EPA to do away with rules that have prevented E15 sales in much of the country from June 1 to September 15. EPA officials had indicated the rule changes would be ready for initial review in February. Ernst says despite the tight timeline — and the government shutdown — she expects the EPA Administrator to meet the president’s deadline. If the EPA rule allowing year-round E15 sales goes through, analysts say a small percentage of U.S. gas stations are equipped to dispense fuel with the higher blend of ethanol.